Following the huge success recorded with the augmented reality game debutant, Pokémon Go, Niantic Labs, the parent company has gone ahead to release a new app called Pokémon Playhouse, bringing Pikachu and friends to preschoolers. 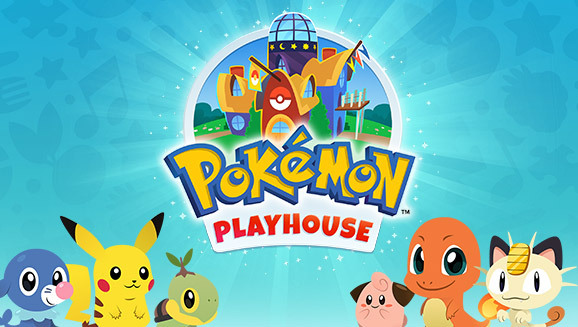 But unlike Pokémon Go, the Playhouse game is not about capturing Pokémon, battling or raids, rather it’s focused on activities appropriate for kiddies within ages 3 to 5 years. While most of the activities are reminiscent of the stuff you’d expect in other childrens’ apps, like Toca Boca or Furby, youngsters can as well solve simple puzzles or listen to stories. They can also take care of their Pokémon in a ‘Pokémon Grooming’ activity, or look for Pokémon in the night sky in the ‘Search the Stars’ feature. And includes other things like starting a band with Pokémon, feeding them, or taking them to an interactive park. The game will include “never-before-seen expressions of Pokémon” such as Pikachu, Bulbasaur, Litten, and Snorlax, according to the company. And it advances as the youngsters continue to play, completing the various in-app activities; or get closer to hatching eggs that feature new Pokémon to add their collection, with over 50 Pokémon included in the game. Pokémon Playhouse won’t have kids begging money for in-app purchases, as all its content is free and the game itself is a free download.